The military parade celebrating the 70th anniversary of China’s victory in the War of Resistance against Japan and the 70th anniversary of the end of World War II indicates that Beijing plans to take on the world political arena, Russian Lawmaker claimed. MOSCOW (Sputnik) – The military parade marking the 70th anniversary of China’s victory in the War of Resistance against Japan and the 70th anniversary of the end of World War II hints at the position that Beijing plans to take on the world political arena, head of the foreign affairs committee of the lower house of Russia's parliament Alexei Pushkov said. "By holding the Victory Parade, China is marking not only its past achievements, but current ones as well. It’s a signal to the world on the role that China plans to play in the 21st century," Pushkov wrote on Twitter. Leaders and high-ranking officials from almost 50 countries, including Russian President Vladimir Putin, will gather in the Chinese capital on Thursday to take part in the celebrations. China is expected to display about 500 units of military equipment of 40 different types, as well as 200 aircraft of 20 types, including bombers, fighters, carrier-based aircraft, coastal patrol planes, tanker aircraft and helicopters. Japan’s Prime Minister Shinzo Abe, along with several Western leaders, has declined an invitation from China. Beijing and Moscow have been stepping up their cooperation amid Western sanctions imposed against Russia over its alleged involvement in the Ukrainian crisis. China and Russia are developing closer ties in the energy and defense sectors. Last month, the two countries concluded the second part of the "Joint Sea-2015" naval exercise held in the Sea of Japan. 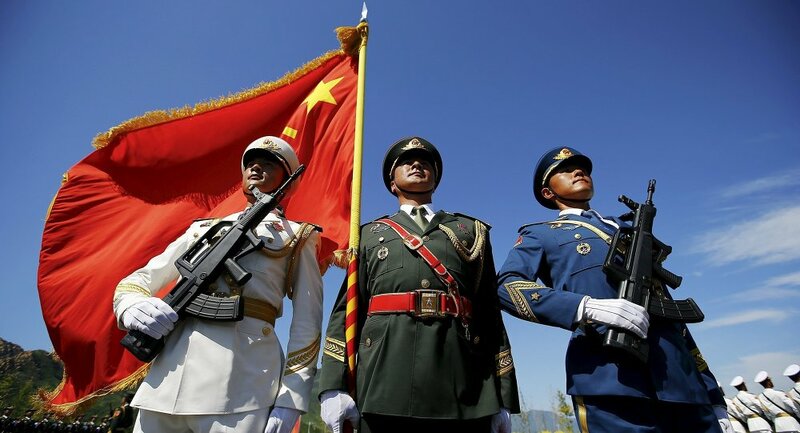 Retired US Ambassador Chas W. Freeman, co-chair of the US China Policy Foundation, told Sputnik on Monday that the Thursday Beijing parade marks China's emergence as a great military power, a status it has not occupied for nearly two centuries.